EASTSIDE UNION SCHOOL DISTRICT (LANCASTER). Administrative Law Judge (ALJ) Marian H. Tully, from the Office of Administrative Hearings (OAH), State of California, heard this matter on July 31, and August 1, 2012, in Lancaster, California. Student’s father (Father) represented Student. Student’s mother (Mother) attended both days of the hearing. 1 The hearing was open to the public at Parents’ request. 1 Father and Mother are also referred to collectively as Parents. Attorney Sundee Johnson represented Eastside Union School District (District). District Superintendent Dr. Mark Marshall attended both days of the hearing. Student filed a request for due process hearing on May 2, 2012, and filed an amended request on May 15, 2012 (complaint). On June 27, 2012, for good cause shown, OAH granted Student’s unopposed request to continue the hearing to July 31, 2012. At the close of the hearing on August 1, 2012, the ALJ granted the parties’ request for a continuance to file written closing arguments by August 10, 2012. The record was closed and the matter was submitted upon receipt of written closing arguments on August 10, 2012. Did District commit a procedural violation of the Individuals with Disabilities Education Act (IDEA) by holding an interim individualized education program (IEP) meeting on April 26, 2010, without notification to Student’s Parents, which prevented the Parents from participating in the IEP decision making process? 1. Student was 16 years old at the time of hearing. Student was found to be eligible for special education and related services under the category of emotional disturbance (ED) in December of 2009. In December 2009, Student lived with her Parents in the Westside School District. Pursuant to an IEP dated February 25, 2010, Student attended eighth grade at Joe Walker Middle School in an ED special day class (SDC) program. 2. On April 13, 2010, Student was involved in a fight during a bus ride on the way home from school and was suspended from Joe Walker Middle School. That same day, she ran away and was taken into police custody. The Department of Child and Family Services placed Student in foster care on April 14, 2010. 2 As of the time Student filed the complaint in this matter, she was attending the Devereux School in League City, Texas. 4. On April 26, 2010, District and the foster parent executed an IEP Administrative (Interim) Placement form and a referral to an ED SDC program at the Yellen Learning Center in the Palmdale School District. 3 The February 25, 2010 IEP was attached to the interim placement form. Parents’ names, correct address, and home, work and cell phone numbers appeared on the first page of the IEP. District made no attempt to contact Parents. The foster parent, District representative David Howard, and the District psychologist were the only participants in the placement decision. 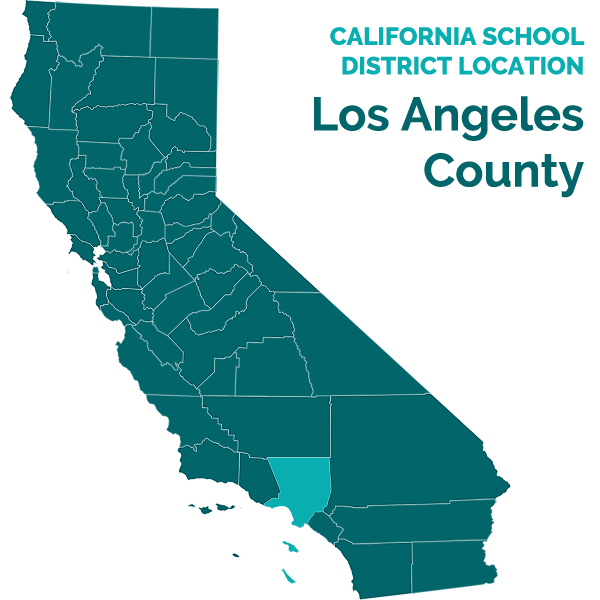 3 District, Westside School District, and Palmdale School District are all within the Antelope Valley Special Education Local Plan Area (SELPA). 5. Mr. Howard did not know Student, did not review or consider Student’s IEP, and never met the foster parent. District made no attempt to determine whether the foster parent had been granted the right to make educational decisions on Student’s behalf. Mr. Howard was familiar with special education law but he did not think it was pertinent to determine who held educational rights. 6. The referral to the Yellen Learning Center was expected to take approximately two weeks to process. In the interim, Student was placed in an SDC at Cole Middle School, the school of residence of the foster parent. Cole Middle School did not have an ED SDC program. Student was enrolled in Cole Middle School from April 30, 2010, until May 14, 2010. Student attended three full days, four partial days, and was absent one day. On May 10, 2010, Student was suspended for three days following a physical altercation in a classroom. 7. On April 30, 2012, the Los Angeles Superior Court issued an order to return Student to her school of origin, Joe Walker Middle School, and affirming Parents as the holder of educational rights. District was not aware of this order until documents were exchanged in preparation for this hearing. 8. Student returned to Joe Walker Middle School on May 14, 2010, and she graduated from the eighth grade there on June 5, 2010. 9. The parties stipulated: (1) District now knows Parents had educational rights from April 26, 2010 through May 14, 2010; (2) Parents were not contacted by the District at any time during Student’s enrollment in District; (3) Parents were not invited or provided notice of any IEP team meetings during Student’s enrollment in District; and (4) District did not provide Parents with any educational records during Student’s enrollment in District. 10. Dr. Mark Marshall, District superintendent, testified at hearing and acknowledged that the change in placement without Parents’ participation was not authorized under the IDEA and should not have happened. Student’s case was the first case he had seen involving a situation like this. Generally, school principals find out who holds educational rights. Following this incident, District’s enrollment forms were changed to include information about who holds educational rights. District also now presumes biological parents have educational rights in the absence of documents to the contrary. 11. Parents did not learn of the District’s participation in the April 26, 2010, change in placement until Father discovered the IEP Administrative (Interim) Placement form in documents Father obtained in March 2012. Father persuasively established that he would not have consented to placement at Cole Middle School because it did not have an ED SDC program, and had he been part of the process, he would have advised District accordingly and would not have consented to the placement. No evidence was presented concerning the difference between the SDC program at Cole Middle School and the ED SDC program at Joe Walker Middle School. 1. Student contends District committed a procedural violation of the IDEA and thereby denied Student a free appropriate public education (FAPE) by failing to notify Parents of, and failing to obtain Parents’ participation in, the April 26, 2010, decision to change Student’s placement. In the complaint, Student sought a return to her school of origin as a remedy, however, at hearing, Father acknowledged that this was not practical in light of Student’s graduation from middle school and current placement. In her closing argument, Student did not request a specific remedy. 2. District admits Parents should have been contacted regarding the change of placement and afforded the opportunity to participate. District contends, however, this procedural violation of the IDEA did not result in a denial of FAPE because, even if Parents had participated in the process, District’s interim placement offer would have been the same. Lastly, District contends, even if the procedural violation denied Student a FAPE, there is no appropriate remedy. 13. In general, when a school district fails to provide a FAPE to a student with a disability, the student is entitled to relief that is “appropriate” in light of the purposes of the IDEA. (School. Comm. of Burlington v. Dep’t of Educ. (1985) 471 U.S. 359, 369-371 [105 S.Ct. 1996, 85 L.Ed.2d 385] (Burlington).) These are equitable remedies. Parents may be entitled to reimbursement for the costs of placement or services that they have independently obtained for their child, when the school district has failed to provide a FAPE. (Id; Student W. v. Puyallup School District (9th Cir. 1994) 31 F. 3d 1489, 1496.) In addition to reimbursement of expenses incurred by parents, school districts may be ordered to provide compensatory education or additional services to a pupil who has been denied a FAPE. (Puyallup, supra,31 Fed.3d at p. 1496.) An award to compensate for past violations must rely on an individualized assessment, just as an IEP focuses on the individual student’s needs. (Reid ex rel. Reid v. District of Columbia (D.D.C. Cir. 2005) 401 F.3d 516, 524.) The award must be “reasonably calculated to provide the educational benefits that likely would have accrued from special education services the school district should have supplied in the first place.” (Ibid.) Remedies under the IDEA are based on equitable considerations and the evidence established at hearing. (Burlington, supra, 471 U.S. at p. 374.) The conduct of both parties must be reviewed and considered to determine whether relief is appropriate. (Puyallup, supra, 31 Fed.3d at p.1496.) The ALJ has the authority to order a school district to comply with the procedures of the IDEA. (Ed. Code, § 56505, subd. (f)(4).) The IDEA does not provide for an award of monetary sanctions or damages as compensation for a loss of educational benefit. Pursuant to Education Code section 56507, subdivision (d), the hearing decision must indicate the extent to which each party has prevailed on each issue heard and decided. In accordance with that section, the following finding is made: Student prevailed on the sole issue heard and decided in this case; however, District prevailed on the issue of remedy.